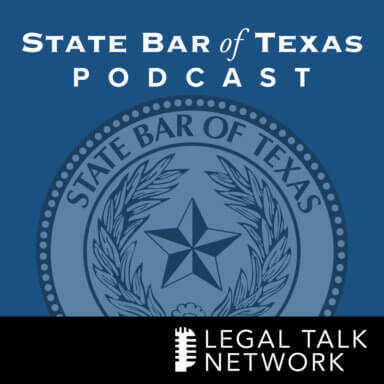 The State Bar of Texas Podcast is a monthly show featuring news and discussions relevant to the legal profession, from the latest industry trends and caselaw to practice tips and State Bar programs. Host Rocky Dhir, attorney and CEO of Dallas-based Atlas Legal Research, invites thought leaders and innovators to share their insight and knowledge on what matters to practitioners. Wayne Schiess discusses his most recent book, “Legal Writing Nerd: Be One,” and gives tips on what lawyers can incorporate to better their writing skills. Mike Farris talks about his career as an entertainment lawyer and book author. Rocky Dhir talks with Leah Teague, associate dean at Baylor University Law School, about leadership and the importance of attorneys taking on the role. Rocky Dhir looks back at some key moments from the podcast throughout 2018. Kendyl Hanks and Kristen Vander-Plas, two of the cofounders of @LadyLawyerDiary, discuss how their Twitter account has become a forum for women in the legal industry. William Kruse and Shruti Krishnan talk about their experiences as in-house counsels. Kimi Jackson talks about the work she does for the South Texas Pro Bono Asylum Representation Project (ProBAR). Judge Don Willett talks about how he became the Tweeter Laureate of Texas and give tips for other judges who want to use social media as a platform. Frank Stevenson talks about him stepping down from his role as immediate past president of the State Bar of Texas. Sally Pretorius is the new president of the Texas Young Lawyers Association and on today's show she talks about the projects she will be working on during her term. Craig Ball talks about the importance of evidence preservation for tablets and smart phones. Tune in as the State Bar Annual Meeting 2018 continues with these next three episodes on the State Bar of Texas Podcast. In today's episode, Rudy Metayer and Erich Birch talk about the bar initiatives. Doug Brinkley and Talmage Boston discuss the 1968 a tumultuous year and what made it become American history and how lawyers can learn from this time period. John Strohmeyer and Teresa Waldrop talk about why podcasts are useful and how effective they can be to help improve your practice. Jason Smith talks about what new technology faces in the legal industry. Ron Chichester discusses how computers have become an integral part of our lives and what this means for the law of computers. Tiffany Haas and Johanna Schroeder discuss about how paralegals can be invaluable to attorneys. Matt Crockett talks about his own textbook and how it helped both him and his students. John Browning talks about pitfalls seen from using social media and what lawyers can do to avoid them. 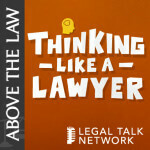 Pamela Buchmeyer joins us today to talk about the role of humor in the legal profession. as well as discussing her late father, Jerry Buchmeyer, and his column, which is now hers. Donna Serdula explains how she became the LinkedIn queen and how attorneys can use the platform to build their brand. Joseph Crespino explains points in his book called “Atticus Finch: The Biography,” and how he got inspired to write about it. Bryan Garner, lawyer, lexicographer, and award-winning author of more than 20 books, talks about his love of legal writing and working closely with Justice Scalia. Brian Cuban talks about addressing addiction and depression and how to recognize warning signs and how to reach out to those in need of your support. In this inaugural episode we hear from Anthony Graves, a man who spent nearly two decades in prison—12 of those years on death row—for multiple homicides he didn’t commit. Learn what's coming up in the State Bar of Texas Podcast, a relaunched explorative and engaging show featuring legal trends and analysis, current events, and stories, and accounts that affect all of us, lawyers and non-lawyers alike.